Mr. Larry London, new Chairman of NAR addressing the gather at the 4th Biennial Conference. Hon. Volda Lawrence addressing the Region No. 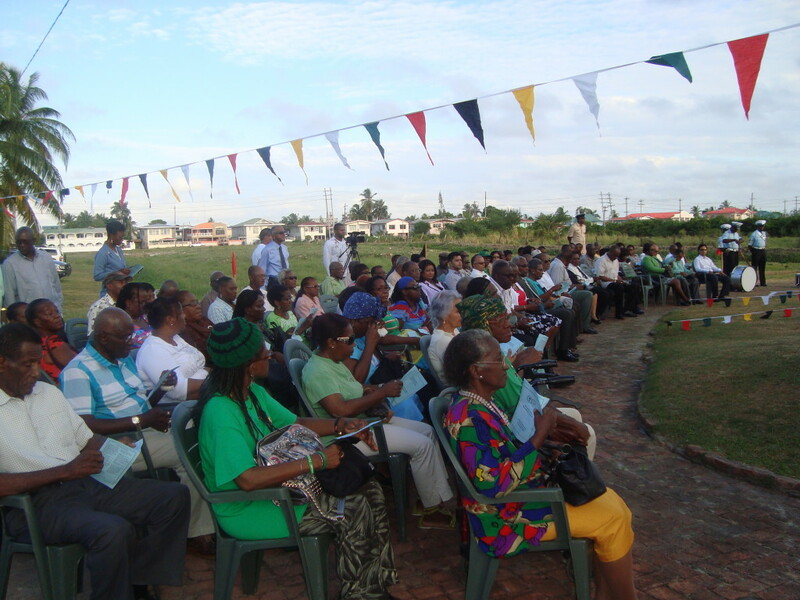 2 Annual Regional Conference on Saturday 7th November 2015 at the Charity Primary School on the Essequibo Coast. 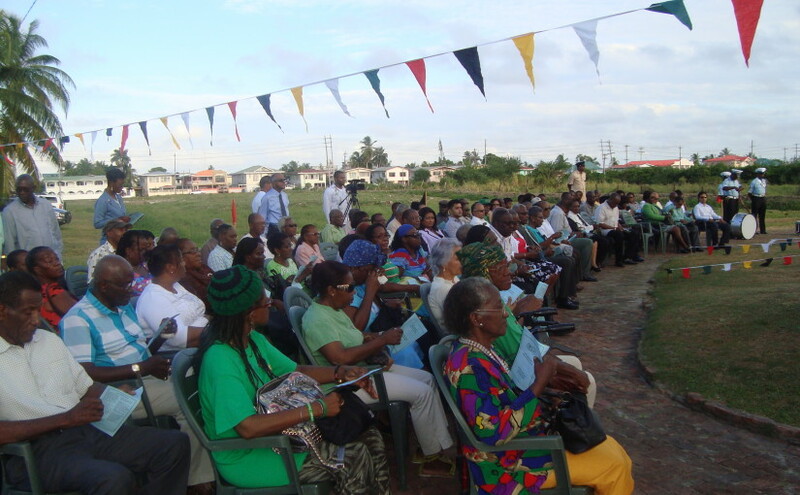 The Annual Regional Delegates Conference of the Pomeroon-Supenaam Region (Region No.2) of the Peopleâ€™s National Congress Reform (PNCR) was held on Saturday 7th October 2015 at the Charity Primary School. The Conference under the theme, â€œPNCR Facing the Future united and resolved to achieve National Consensusâ€, was attended by over two hundred delegates from the Region. The Conference was chaired by Ms. Dacia Jones with the welcome remarks by Mr. Joseph Hill. The feature address was delivered by PNCR Vice Chairman, Hon. Volda Lawrence. 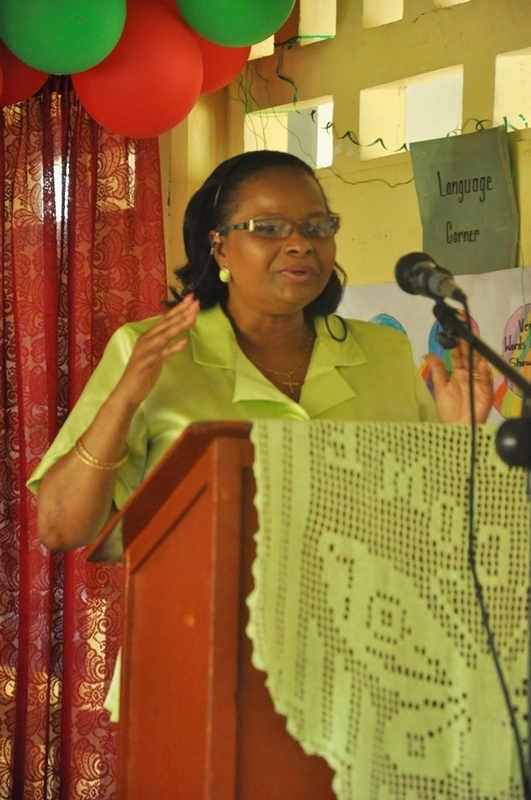 Secretary of the Region, Ms. Doreen Duncan, A.A presented a Regional Report to the Conference. Comrade Forbes Burnham, our founder-leader, together with Comrade Joseph Prayag Lachmansingh, our founder-chairman, established the Peopleâ€™s National Congress fifty-eight years ago on the fifth of October 1957. We are the beneficiaries of their vision. We shall never forget their service to our party and their love for our country. The PNC was elected to office in December 1964 as a member of a coalition administration. The PNCR today, as part of a grand coalition of six parties, has the opportunity to serve, to give guidance, to provide leadership and to contribute to the development of Guyana once again. The PNCR today celebrates the 58th anniversary of its founding by recalling our founderâ€™s deep commitment to creating the conditions to allow our country to co-exist peacefully with its neighbours in the Caribbean and on our borders on the continent of South America. Our founder embarked, immediately on our partyâ€™s formation, on the task of building cordial, peaceful and respectful relations with Guyanaâ€™s neighbours in order to create a secure and stable international environment. Our founder, even in opposition, initiated a motion in the Legislative Assembly in 1958 calling for British Guiana to become a member of the West Indies Federation in 1958. Our founder, years later, even before Guyana achieved Independence in May 1966, travelled to Bridgetown Barbados, to pioneer the restart of the regional integration movement by the establishment of the Caribbean Free Trade Area (CARIFTA). This led to the creation of the Caribbean Community (CARICOM). Our founder, even before achieving Independence, travelled to Paramaribo, Suriname to seek a solution to that countryâ€™s objectionable claim on our territory. Our founder, even before achieving Independence, hammered out an agreement to establish the Guyana-Venezuela Mixed Commission to seek a solution to Venezuelaâ€™s obnoxious claim to our territory. Our founder travelled later in his career to Brasilia, Caracas and Paramaribo in an unending effort to build friendly relations with our neighbours. Our people today want to live in peace and safety. The PNCR made a contract with this nation 58 years ago. We are the heirs and executors of that contract. We have a duty to make Guyana a peaceful and prosperous country for posterity to inherit. The PNCR today, on its 58th anniversary, renews its commitment to continue to work through A Partnership for National Unity + the Alliance For Change Coalition to remove all obstacles to regional peace and stability. The PNCR will never resile from its duty to work with any nation or international organization in order to achieve the ideal of forging greater integration and cooperation among all the people of this hemisphere. 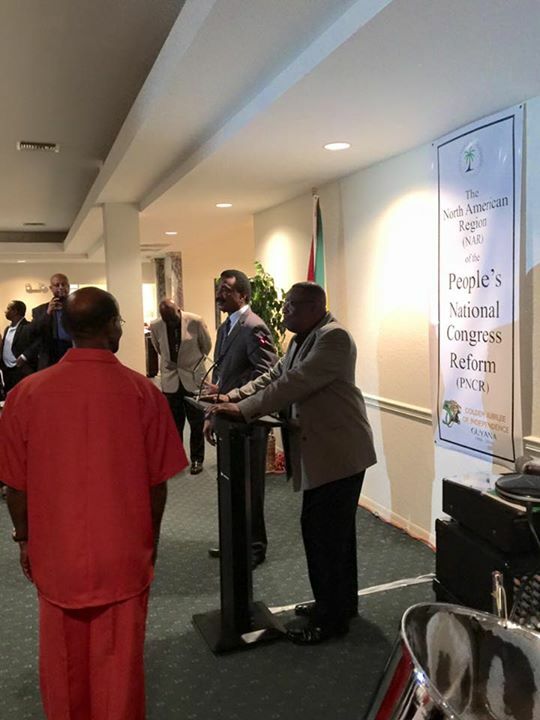 The PNCR rejects the invented territorial claims by Venezuela and Suriname. Their expansionist ambitions cannot be allowed to undermine the tenets of international law and unravel borders which have been undisturbed for decades. â€¢ The PNCR reaffirms its commitment to the peaceful settlement of international disputes. â€¢ The PNCR supports the governmentâ€™s call for a resolution of all claims and controversies in a manner that is consistent with the Charter of the United Nations. â€¢ The PNCR wants to bring an end to ceaseless aggression, harassment and threats. 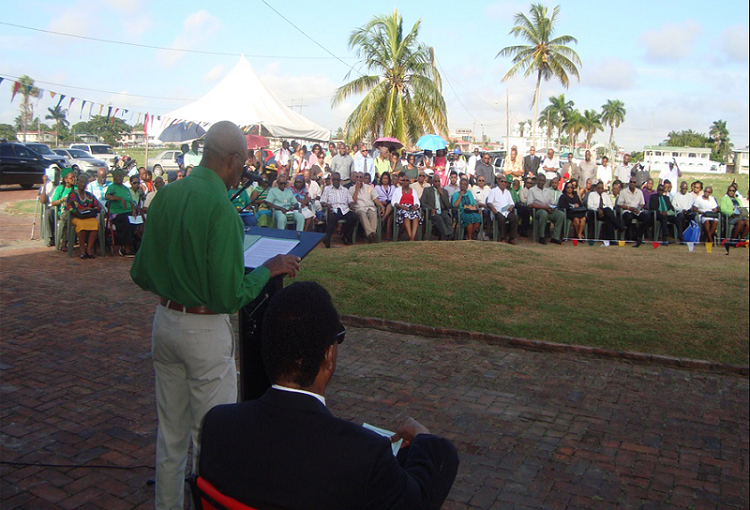 â€¢ The PNCR wants Guyana to develop its resources for the benefit of its people. â€¢ The PNCR recommits to supporting the government in its quest to preserve the Caribbean and the continent of South America as a zone of peace. May God bless the Peopleâ€™s National Congress Reform! May God bless the Guyanese nation! The Peopleâ€™s National Congress Reform celebrates its 58th Anniversary on Monday 5th October 2015. A Flag-raising ceremony and Breakfast were held at the Partyâ€™s Headquarters, Congress Place, Sophia. Party members, stalwarts, Ministers of the Government and special invitees were present. The Anniversary Statement was delivered by the Leader of the Party and President of the Co-operative Republic of Guyana, H.E. David A. Granger. The Party Leader also said that on its 58th Anniversary, the Party renews its commitment to continue to work through A Partnership for National Unity + the Alliance For Change Coalition to remove all obstacles to regional peace and stability. That the PNCR will never resile from its duty to work with any nation or international organization in order to achieve the ideal of forging greater integration and cooperation among all the people of this hemisphere. Todayâ€™s ceremony was chaired by the Party Chairman, Mr. 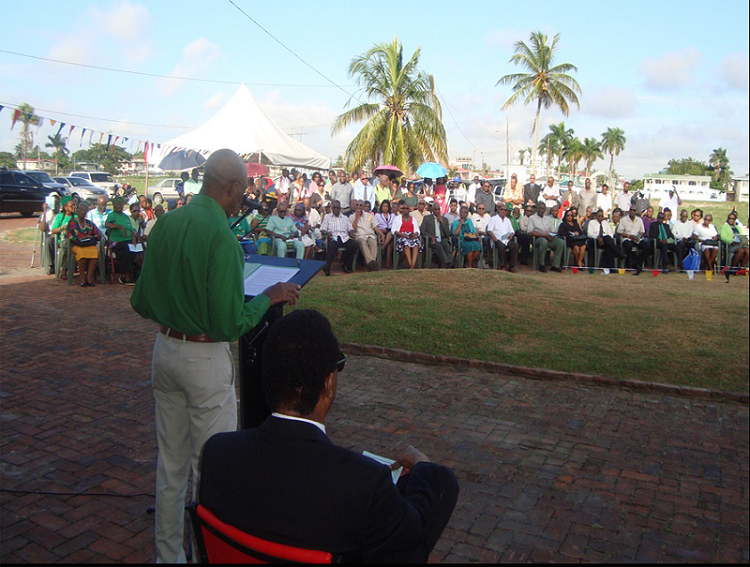 Basil Williams, MP and the closing remarks was delivered by the Partyâ€™s General Secretary, Mr. Oscar Clarke, CCH.